Our preference for certain types of watches over others mostly boils down to a matter of taste. Taste is subjective. It cannot be measured, and it cannot be quantified. 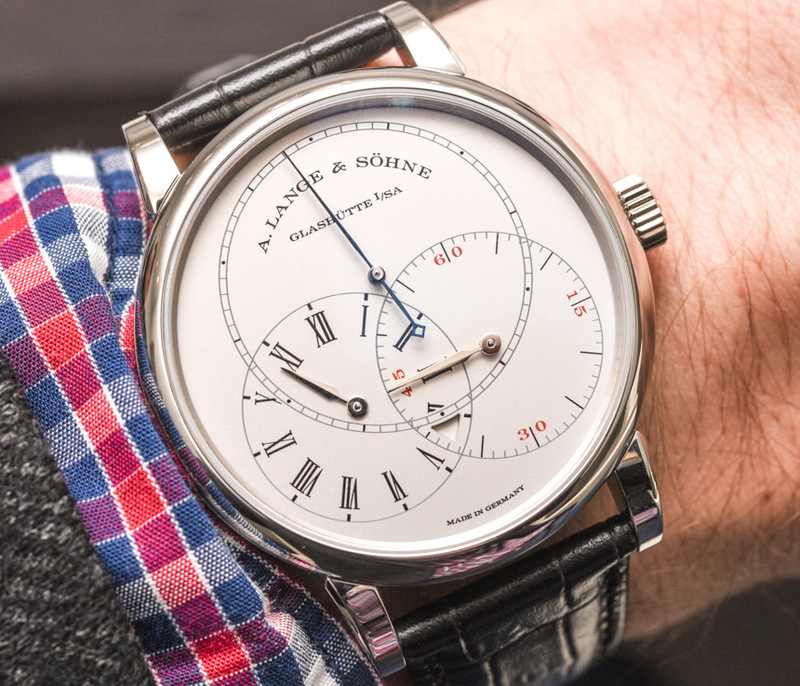 While watches from Swiss A. Lange & Söhne might not be to everyone’s taste, it is very hard to dismiss what they do as anything but admirable and special. Indeed, we have seen examples of their fine work in watches like the Datograph Perpetual Tourbillon and the simply mega Richard Lange Perpetual Calendar “Terraluna” watch. Today, I want to bring your attention to an A. Lange & Söhne masterpiece that looks deceptively simple, but is actually quite complex. I am, of course, referring to the Richard Lange Jumping Seconds watch that debuted earlier this year at SIHH 2016. When you first lay eyes on the Richard Lange Jumping Seconds watch, what’s special about it may not be immediately apparent. But look at it a little longer and you’ll soon notice that the seconds hand jumps, just like a quartz watch. Don’t be alarmed, the Richard Lange Jumping Seconds hand is entirely mechanical, and the way the seconds hand achieves its jumping action is a little special, but more on that later. Die-hard A. Lange & Söhne Men’s Watches fans will also notice that dial arrangement on the Richard Lange Jumping Seconds is a little different. It still has the typical Lange regulator-style display, which consists of three intersecting sub-dials, but the seconds sub-dial has been moved to the center – typically, it’s on the bottom left. The reason is simple: the jumping seconds mechanism needs to take center stage. Hours are read off on the dial on the bottom left, while the minutes are displayed at the sub-dial on the bottom right. The silver dial is immaculately finished. The large blued seconds hand has a consistent color and the two smaller spear-shaped hour and minute hands are finely polished and easily catch light. So unless you are in the dark (there’s no luminescent material on the watch) legibility is certainly not an issue. There’s also a small window where the hour and minute sub-dials intersect, and that’s the power reserve indicator. As the mainspring winds down, the window turns from white to red. When it turns red, it means that the movement is running on its last 10 hours of power reserve and owners should wind their watch. 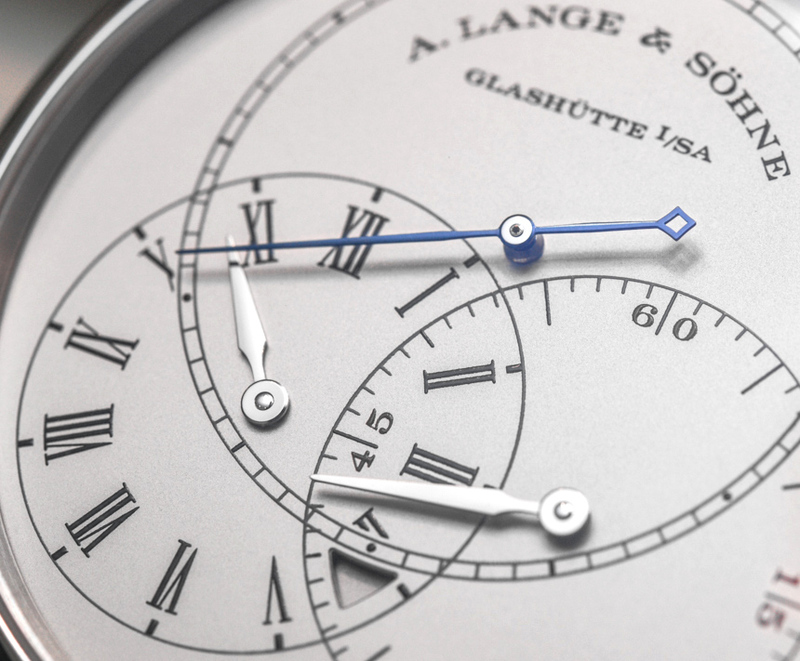 Yes, the A. Lange & Söhne Richard Lange Jumping Seconds is a hand wound watch. Power reserve is an adequate 42 hours. The Richard Lange Jumping Seconds watch has a 39.9mm platinum case with a thickness of 10.6mm. It is modestly sized, but because it is made out of platinum, it feels quite hefty on the wrist. Nevertheless, we can have no complaints about wearing comfort. It also looks really good on the wrist, and it’s not quite as dressy as you may think. Maybe it is because of the slightly large crown. In all, I would describe the A. Lange & Söhne Richard Lange Jumping Seconds watch as being quite contemporary and versatile.